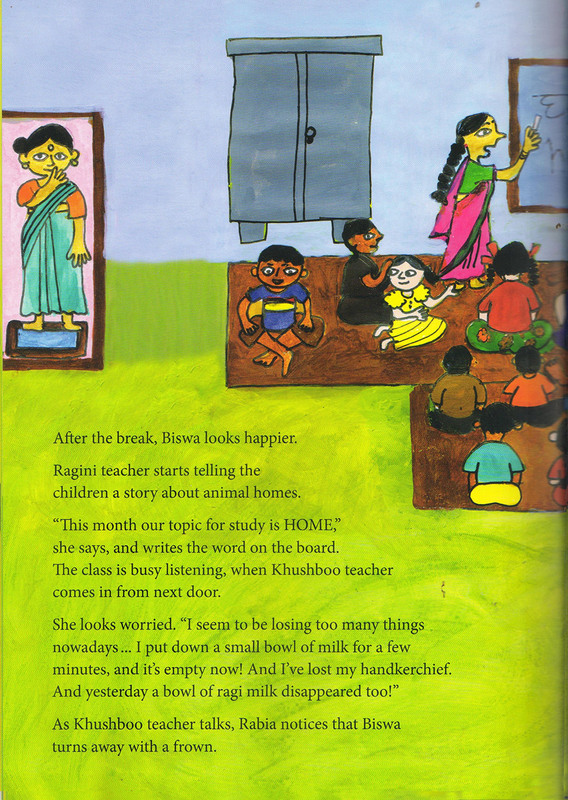 ‘Home Away From Home’, created by the NGO Mumbai Mobile Creches, was born out of the children’s desire to read about characters they could identify with. Rabia and Jhimli are best friends. They play together, solve puzzles, and read mystery books. It was only a few months ago that they met at a day care centre, but during the time that Rabia spent teaching Jhimli to speak in Hindi, they became inseparable. 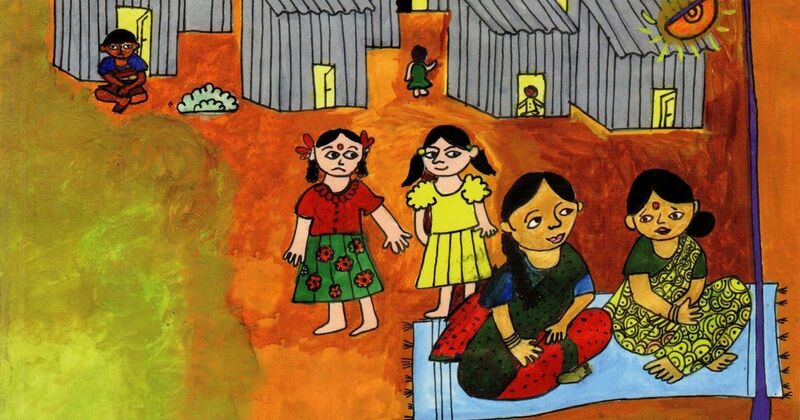 The two girls are characters in a short picture book, Home Away From Home, conceptualised, written and illustrated by the teachers at the non-profit Mumbai Mobile Creches. 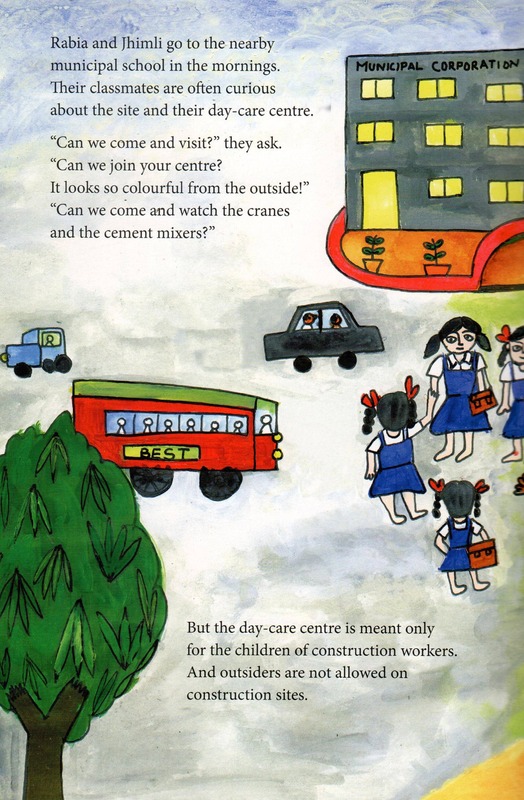 For over four decades, the NGO has been running day-care centres near construction sites for children aged up to 14 years. At these creches, younger kids spend their days playing games, reading and learning, while their parents work. The older children join them after the school is out. 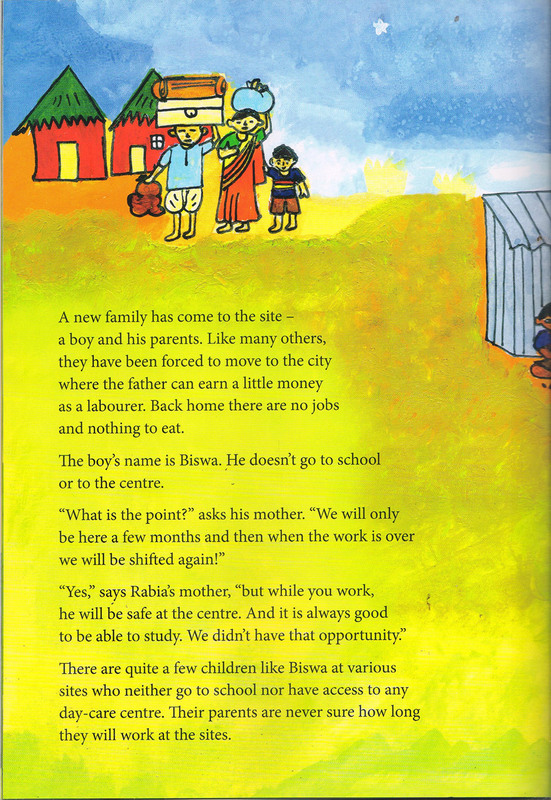 After a few sessions working on the graphic novel, a team of MMC teachers had the basic storyline ready: Home Away From Home follows Rabia and Jhimli as they try to befriend a new boy at their crèche, Biswa. 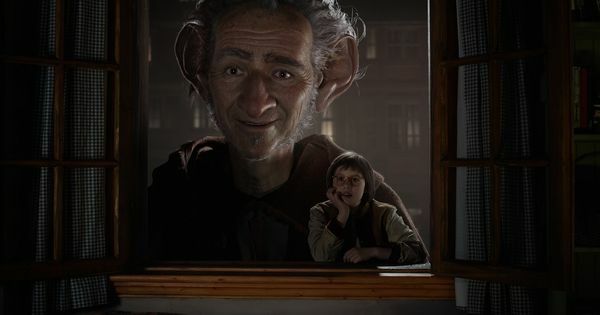 The arrival of the quiet, shy boy is accompanied by the disappearance of small objects from the crèche – a handkerchief, a bowl of milk. Upon noticing this, Rabia and Jhimli embark on an adventure to solve the mystery of vanishing objects. The result strikes a chord with the reader. 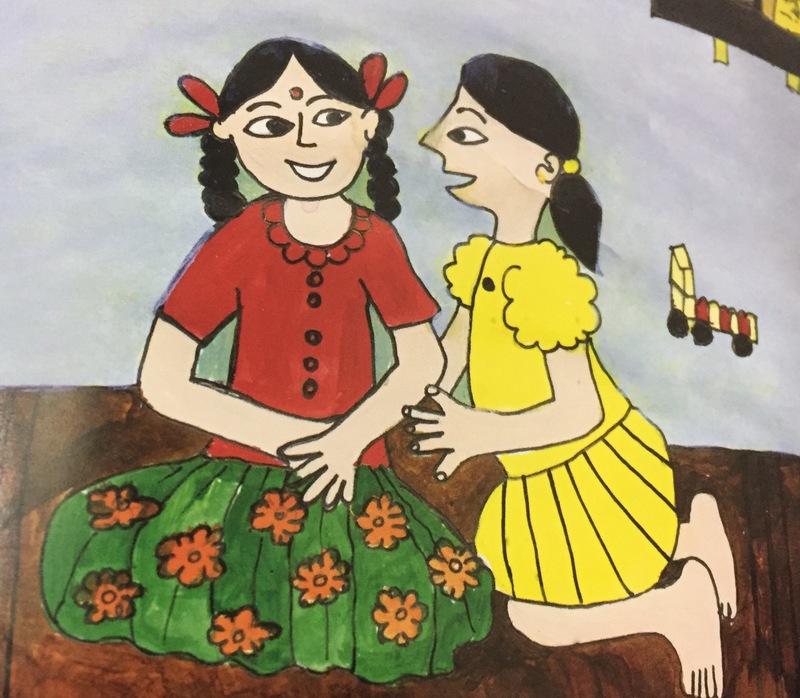 Through a simple story and in merely 30 pages, the MMC team manages to explain the children’s daily realities, highlight their plight and the efforts being made to give them some semblance of home – a word that each child in the book is constantly defining and redefining. For Rabia and Jhimli, home is where the other is. 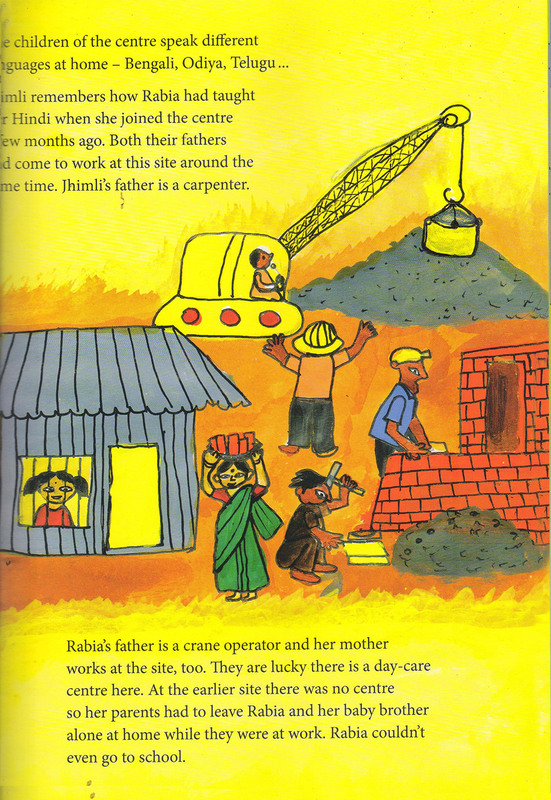 This is why, when Jhimli finds out she is going to move on to a different construction site soon, she bursts into tears at the idea of leaving her friend. 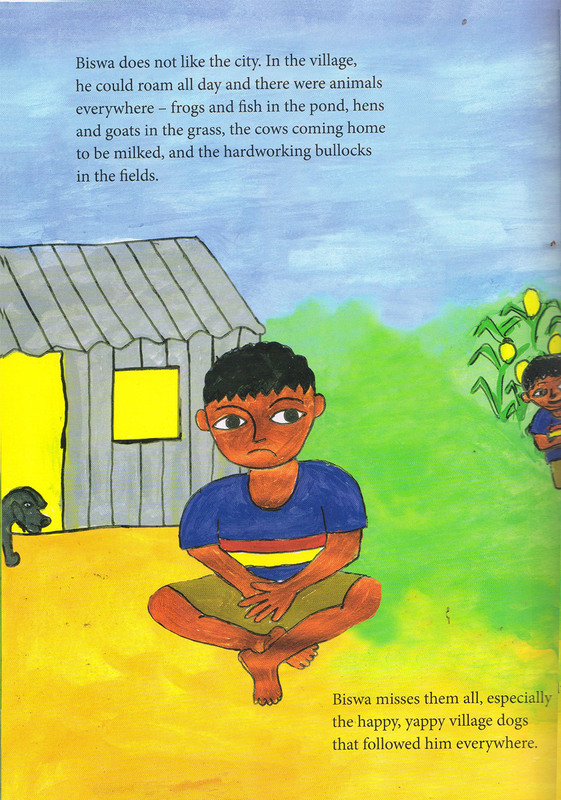 The book is full of colourful, basic illustrations. 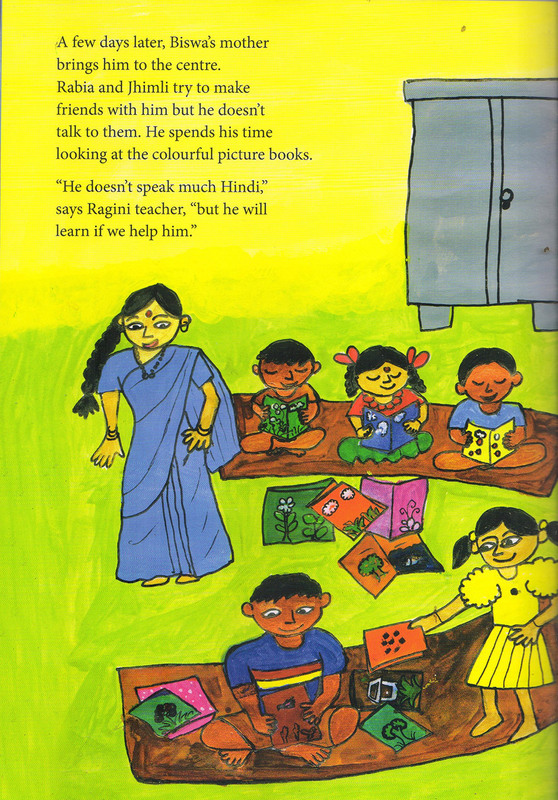 According to Pawar, when the children read the book, they were elated that the characters were like them. “I had children coming up to me and telling me, ‘I’m like Biswa, aren’t I?’, ‘I think I’m like Rabia’,” she said. Home Away From Home, published in Hindi and English, is available for purchase at the Mumbai Mobile Creches and at Kahani Tree, Mumbai. It can also be ordered by emailing communications@mmcmail.org.in, calling on 9769010346 or through their website. All images courtesy Mumbai Mobile Creches.